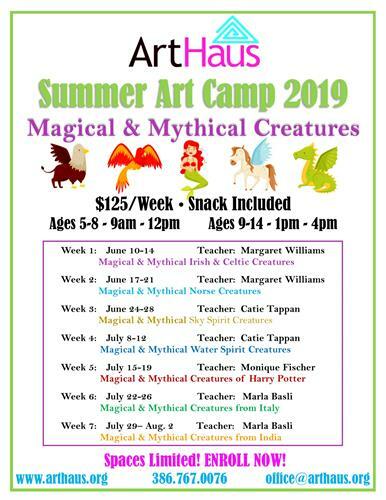 Registration for our 7 exciting weeks of Summer Art Camp "Magical & Mythical Creatures" is officially open. Don't miss out! We fill up fast!